No Waiting Period, New Teeth Immediately! 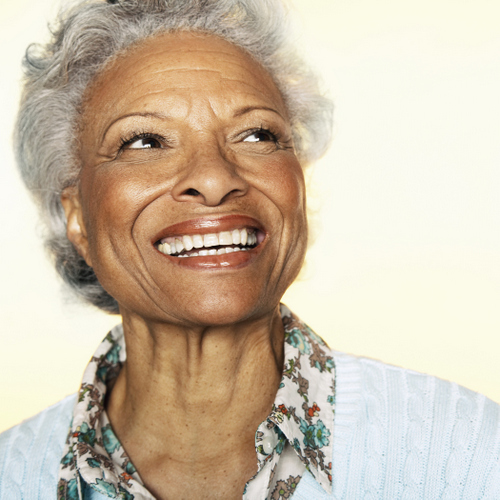 The latest technology for dental implants is Teeth-in-a-Day or immediate load dental implants. This cutting edge procedure allows you to go into the dentist office with old or missing teeth and leave the same day with a beautiful new smile! Dr. Frank W. Sallustio is a prosthodontist specializing in the replacement of missing teeth, offering one day dental implants in Sun City West, AZ. Unlike traditional dental implants, immediate load dental implants do not require a three to six month waiting period before the final restoration is placed, and can be used to replace one or all missing teeth. With traditional dental implants, a temporary appliance is needed for healing and will need to be adjusted or even replaced. While traditional dental implants are highly successful, the long waiting period and multiple visits make it difficult for some patients, especially in an emergency situation. With Teeth-in-a-Day implant supported dentures, you can leave Dr. Sallustio's office the same day with fully functioning, natural looking new teeth. If your treatment plan requires an extraction, immediate load dental implants are placed right after your procedure. You will not have to go a single day without teeth! Not everyone is a candidate for one day dental implants. After a comprehensive oral examination, Dr. Sallustio will be able to discuss all of your treatment options and let you know if Teeth-in-a-Day and implant supported dentures are right for you. Do not go one day without teeth! Call Dr. Sallustio’s office to set up your consultation in Sun City West, AZ today. Have Additional Questions? Call Now: (623) 738-2639 • Ready to Schedule Your Appointment? Click Here!